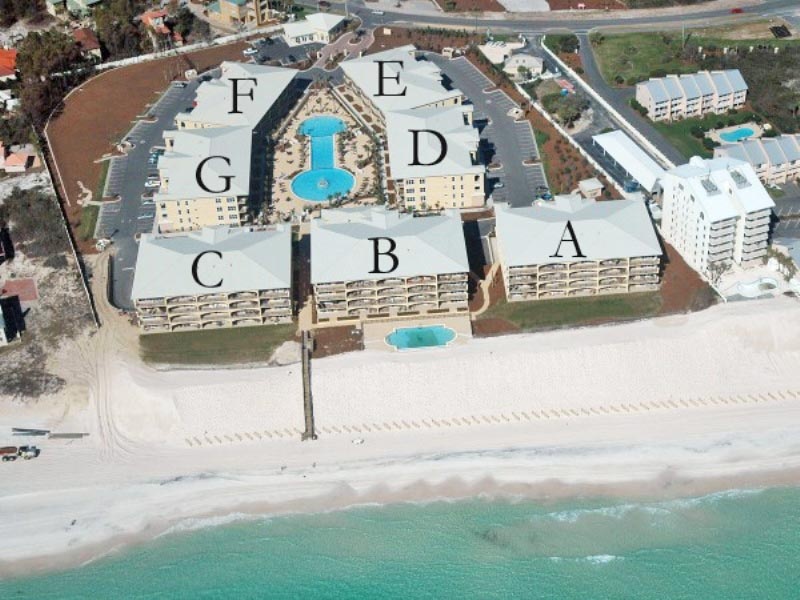 Slip away to the white sandy beaches of South Walton and choose Adagio 302F as your 30A vacation rental. Enjoy magnificent views of the pool while kicking your feet up on your private balcony. After an adventurous day on the beach, unwind on your balcony and reminisce on the memories made that day. Share moments of laughter with your family as you watch the sunset in the distance. 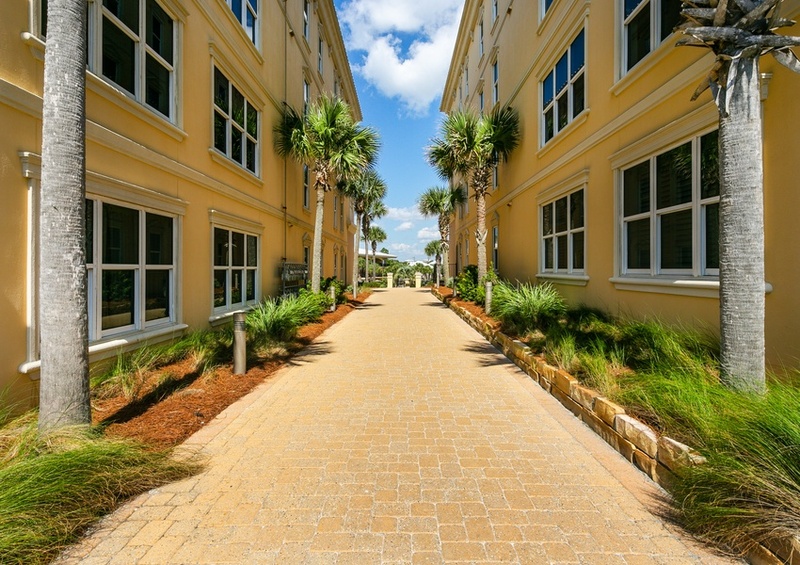 This three bedroom condo will accommodate up to eight members of your family. The master bedroom suite contains large glass doors leading out onto the balcony and a master bathroom featuring a whirlpool tub and a walk-in shower. Both bedrooms come with a full bathroom and flat-screen TVs. After cooking a delectable meal in your full kitchen featuring granite countertops and stainless steel appliances, gather around the TV in the living room and lounge the evening away. 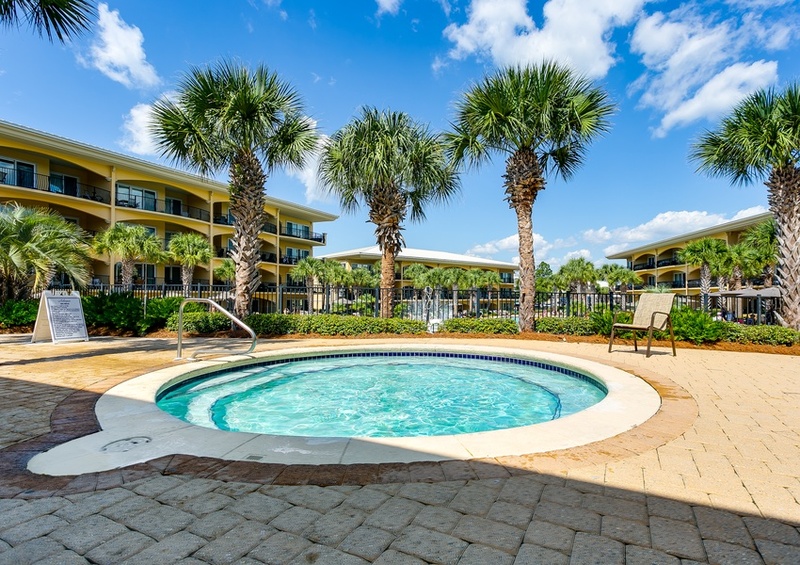 The large community pool is a great place to spend your time when you are not relaxing on the beach. 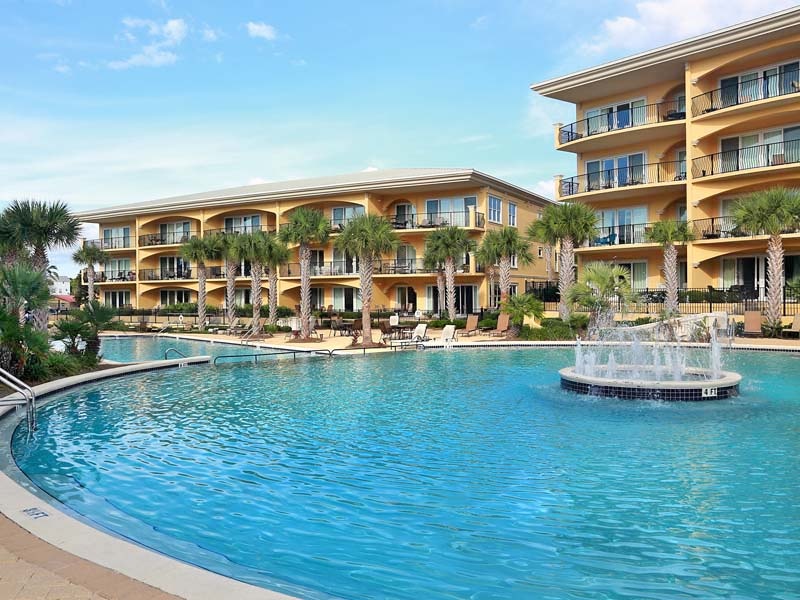 Swim around in the pool and enjoy a fountain and a large surrounding sundeck furnished with outdoor lounge chairs. Enjoy complimentary in-season beach service, including two chairs and one umbrella, during your stay. 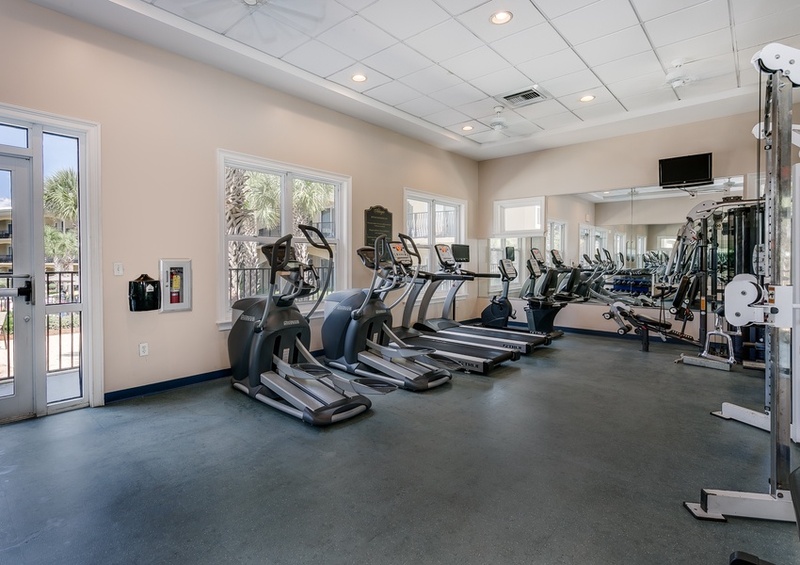 After a fantastic workout in the fitness facility, grill a delicious lunch on the community barbeque and gas grills. 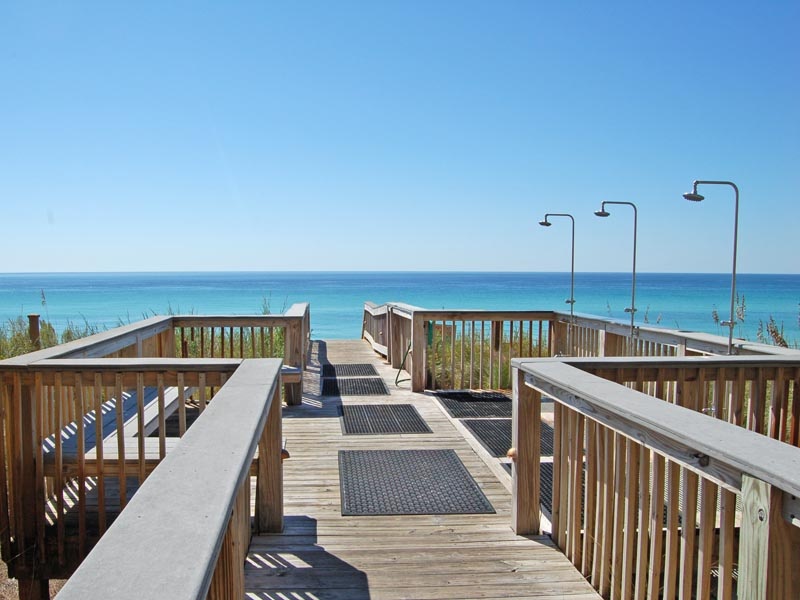 Partake in all of the outdoor fun listed in our Gulf Coast Guide during your vacation in Blue Mountain Beach. 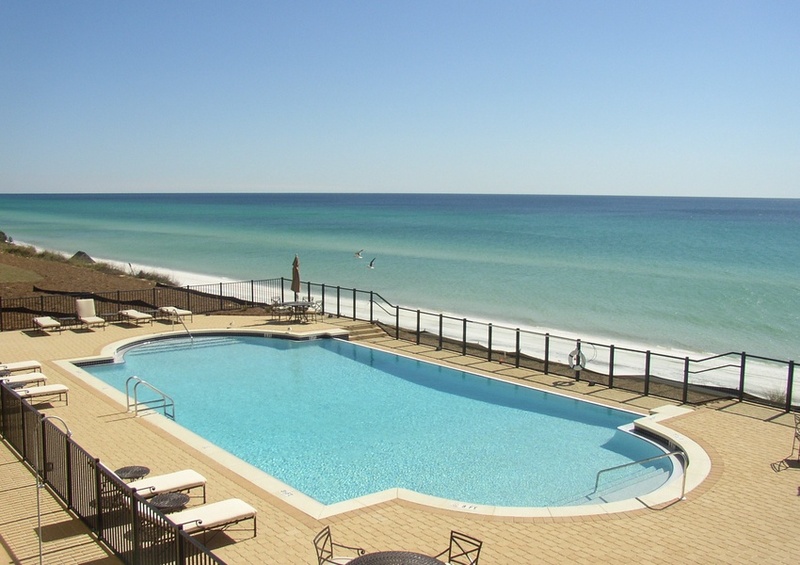 A vacation filled with lifelong memories awaits you at Adagio 302F on Scenic Highway 30A.